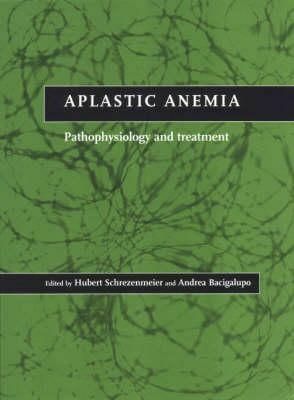 This book takes account of the most recent findings in laboratory research and clinical trials to provide a comprehensive and up-to-date reference on the pathophysiology, epidemiology, diagnosis and treatment of acquired and inherited aplastic anemia. As well as a detailed overview of the pathophysiology of the disease, the international team of authors cover all aspects of management, including the established approaches of bone marrow transplantation and immunosuppressive treatment, new approaches such as the use of hematopoietic growth factors and escalated immunosuppression, and controversial issues such as stem cell transplantation. Also included is an important international consensus document on treatment, and a final section concentrates on the inherited syndrome Fanconi's anemia. Detailed treatment guidelines are given, making this the definitive resource for hematologists and other clinicians involved in the management and supportive care of patients with aplastic anemia. Scientists interested in bone marrow failure will also find this an invaluable reference.